Bloom Time: Mid spring to early summer. Ripens in September. •	Incredible disease resistance, so it can be grown without spraying. 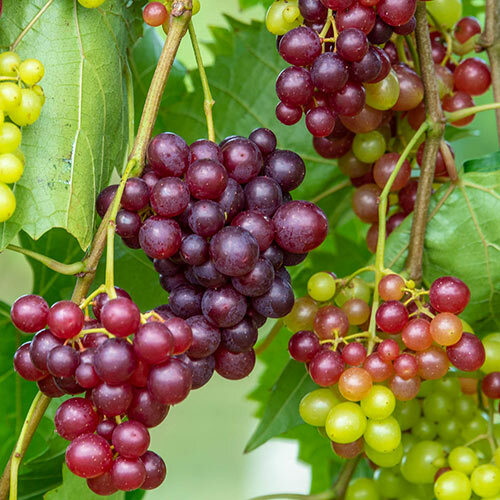 •	The first ever continuously fruiting seedless grape. 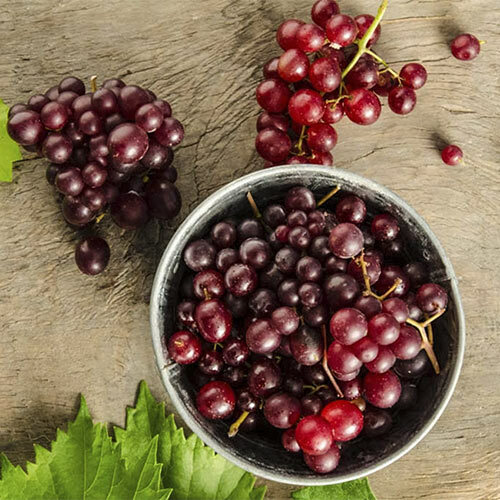 •	20 years of research delivers a grape like no other. 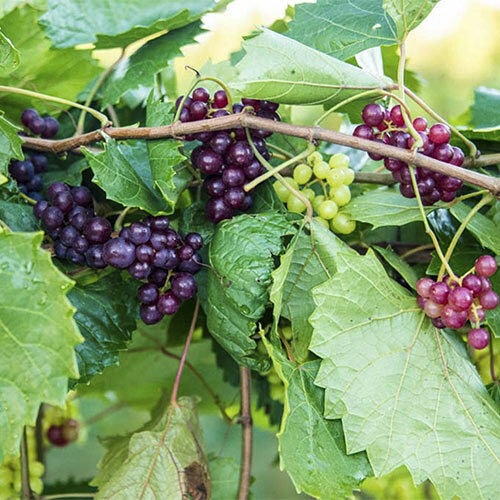 RazzMatazz is the first seedless grape to provide gardeners with true fruiting success without spraying — combining the sweet flavor and texture of table grapes with the disease resistance and native hardiness of muscadines. It is also the first ever continuously fruiting grape! Starting as early as six months after planting, it will set blooms and fruit all summer, and all along the vine. A hanging basket spilling over with cascades of deep purple, sweet little grapes throughout summer… it is heavenly! After 20 years of research and testing, we're proud to bring you the incredible groundbreaking grape, RazzMatazz. 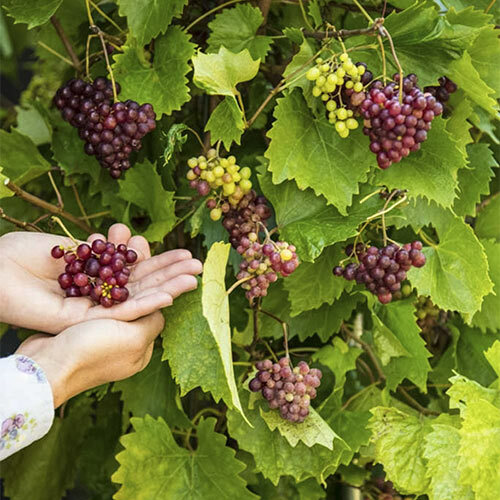 Each vine requires about 15 ft. of growing space on a wire trellis or fence with at least 8 hours of sunlight. Self pollinating. Vitis rotundifolia '05-22-3-27' U.S. Patent No. 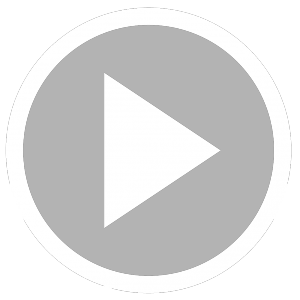 9045767. Foliage TypeSlightly lobed, dark green tinged with yellow on the bottom, ornamental. Bloom TimeMid spring to early summer. Ripens in September. Flower FormSmall, 5 petaled, held in narrow panicles. Insignificant. Soil RequirementsWell-drained, sandy loamy soil. Planting InstructionsDig a hole large enough to accommodate the roots without bending them. Set the crown at soil level, firm and water thoroughly.